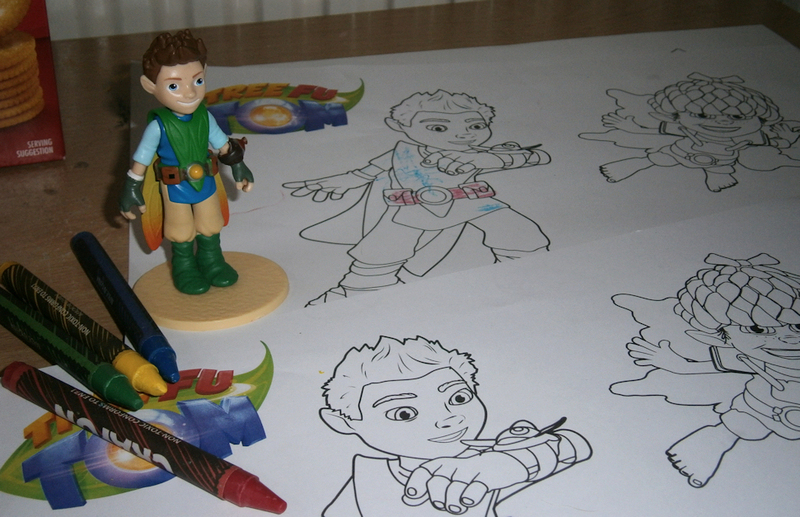 Yesterday we hosted our Tree Fu Tom Party, with my usual disorganised style. Although I was running late we still managed to have fun with lots of excited children, lots of toys and lots of snacks. Hosting a Tree Fu Tom themed party is really quite easy and a great theme for a Birthday party, During the party the children enjoyed taking it in turns on the dance mat, seeing who could score the most, and make Tom say something new! 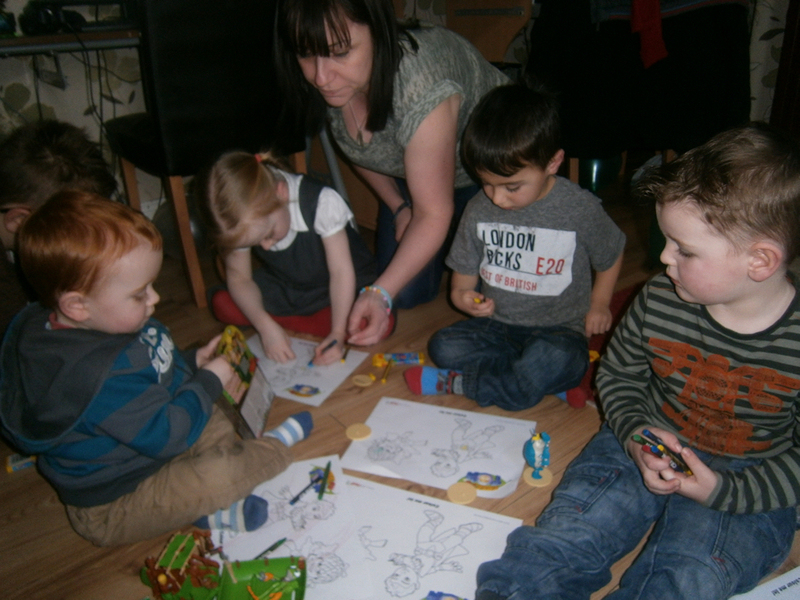 We also had a colouring competition, colouring in printable Tree Fu Tom themed posters which can be found on the cbeebies website along with other fun crafts. We also enjoyed playing catch with the squizzles, which cost around £4 each these are great giveaway items for party bags, and make a great game of pass the squizzle, standing on one leg, or when holding the squizzle only with your knees! 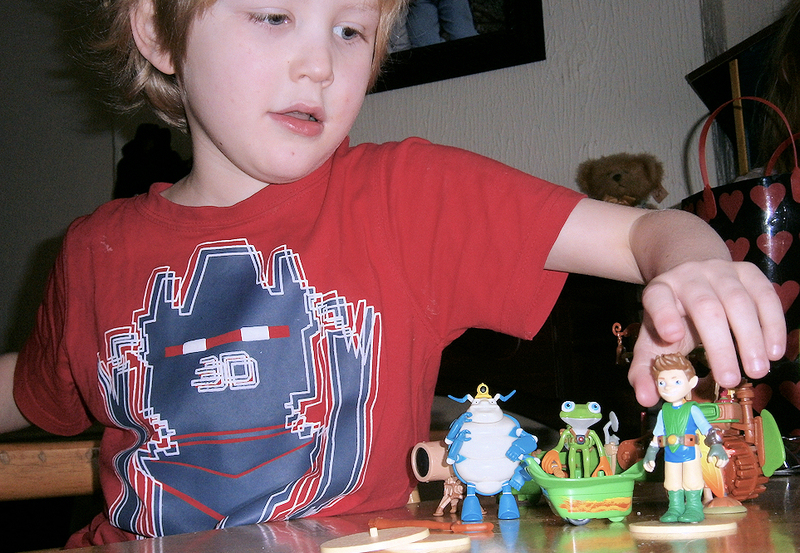 Of course just playing with the fantastic range of Tree Fu Tom themed toys entertained the children. The range of toys includes beautifully detailed figures which match the characters on the cbeebies TV show, These would make great Birthday gifts for all preschool children, available in single character packs priced £4.99, deluxe character packs which have additional accessories priced around £7.99 or themed playsets which include larger accessories such as Zigzoos wagon priced £12.99 there is something to suit everyone. 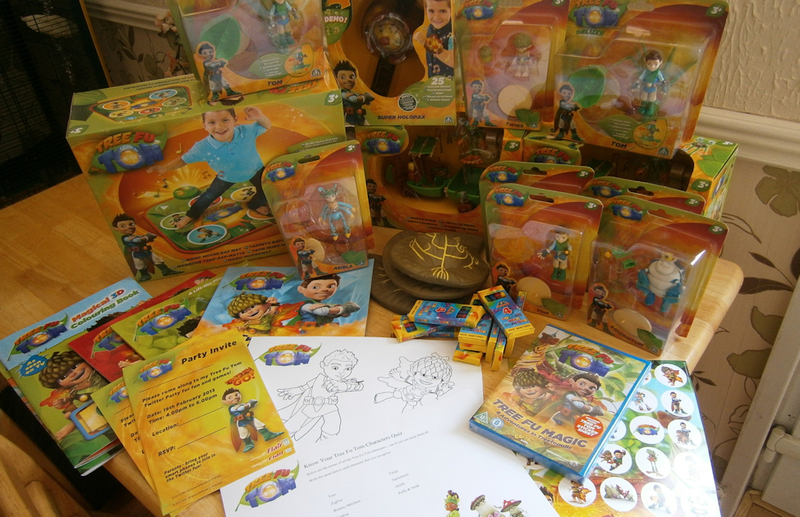 The characters available include all the popular characters from the Tv show, including Tom himself. In the deluxe Tom figure set Tom comes along with a pull back and go leafboard which all the other figures can also connect to. 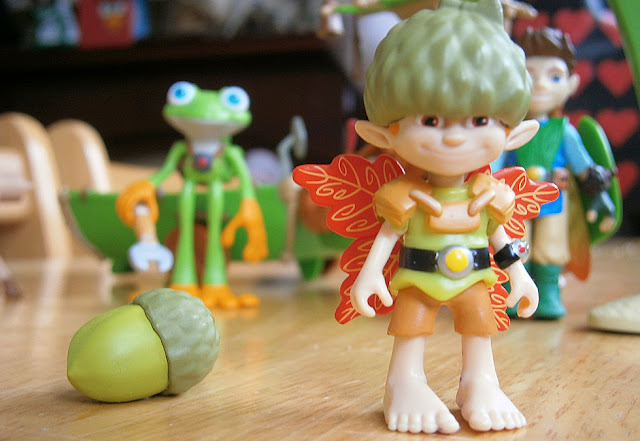 There is also Twigs, Toms best friend, the fun loving little acorn sprite, who is voiced by David Tennant in the show, and a firm favourite of everyone. 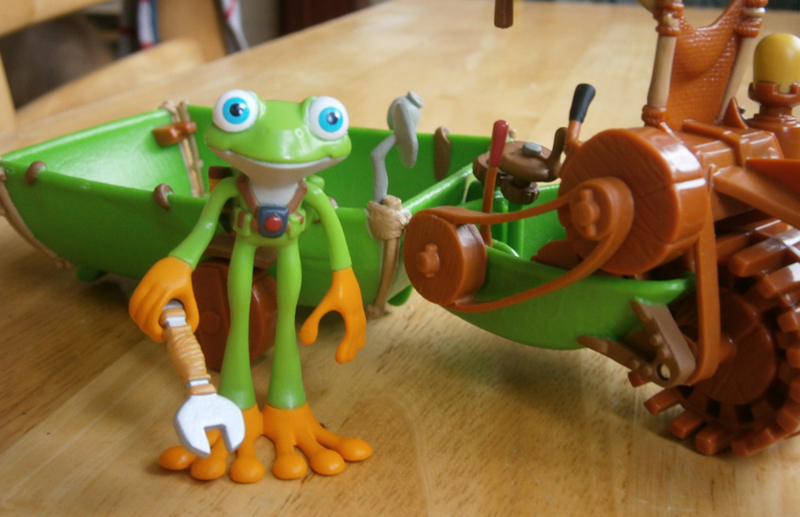 Or maybe you're little Tree Fu fan likes Squirmtum the big blue earwig, or even Ariela the friendly cowgirl and Ziggzoo the inventor frog who are all available to collect with great detailed true to life figures. 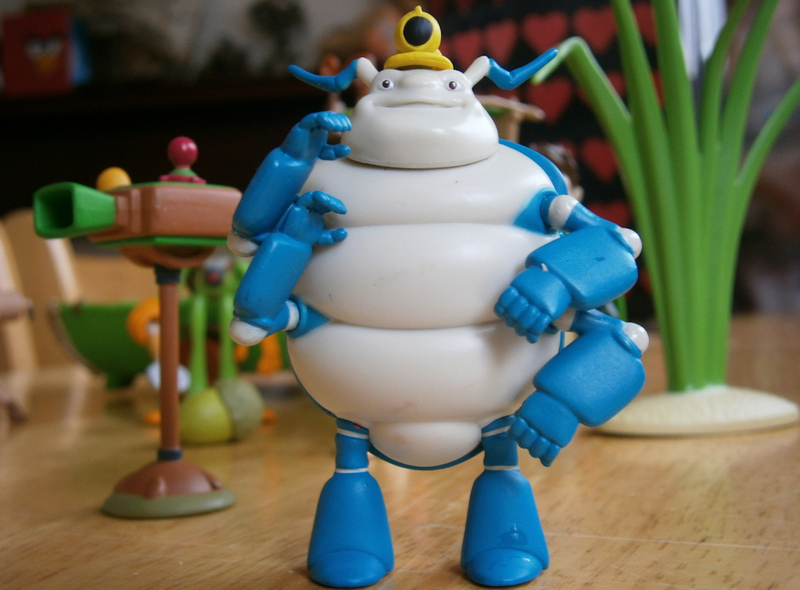 However none of the figures legs move, which makes them more stable to stand, they all come with a base stand too, if you wish to display them on a shelf, each figure is only a couple of inches tall, but they are robust enough for little hands and very detailed so they really bring the childrens imagination out. The larger playsets come with more accessories, we had ZigZoos waggon to look at and this is a great set the trailer is big enough to transport everyone and ZigZoo has his very own spanner to ensure he can invent something new! 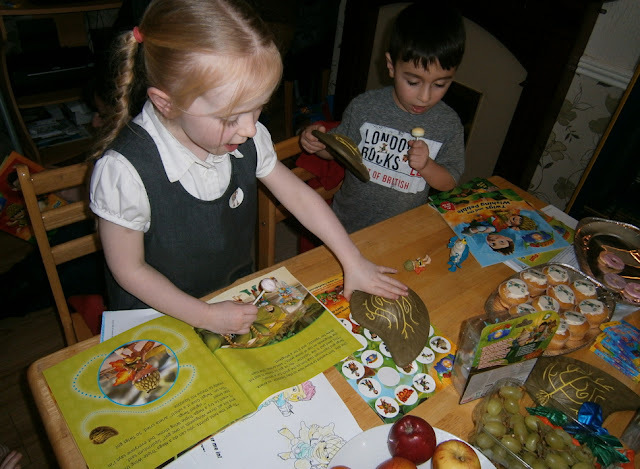 As well as the lovely range of figures, there are a range of books, from reading books to activity pads with stickers and 3D colouring in. 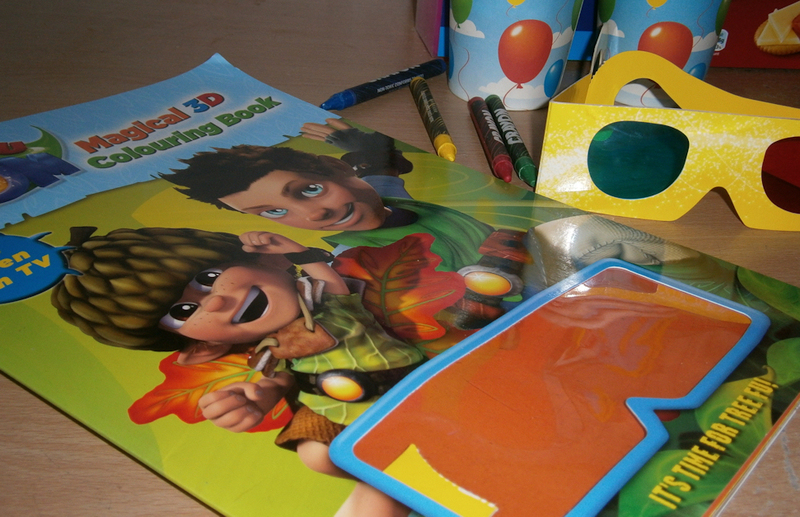 The books are a really great quality, bright and fun. 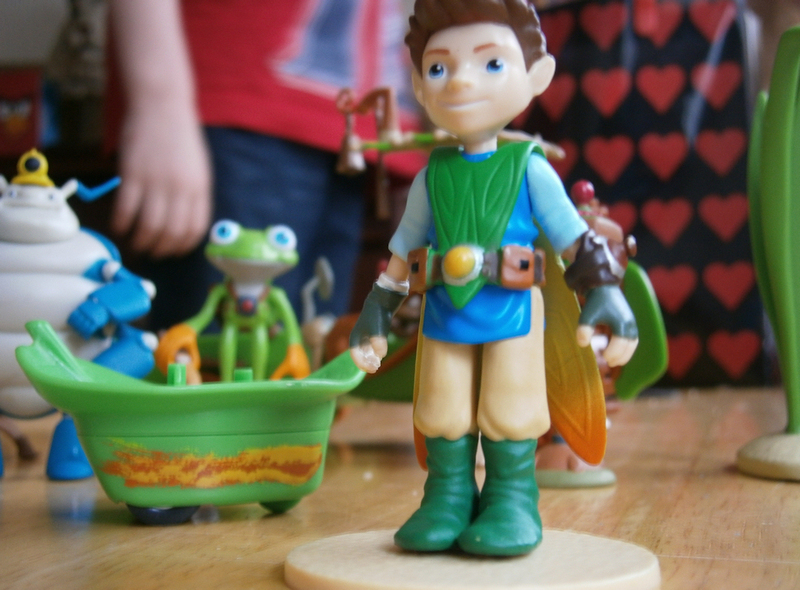 There are also more active toys in the range, as Tree Fu Tom promotes movement and exercise in children, the toys in the range are designed to do the same. 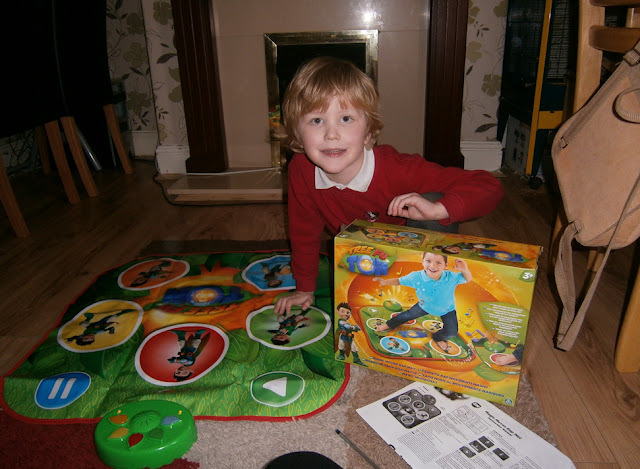 The magic moves Rap Mat is brilliant and is suitable for all aged children, there are two modes for different age ranges. It plays the familiar Tree Fu Tom theme song and young children love to jump about making up their moves. Priced £14.99 this is a great main birthday present and for children aged around 3 it is sure to be something which is well used, older children however may find it abit easy, but even if they manage to get top marks every time, it plays the familiar tune and is alot of fun to improvise with bolder movements between moves. Here is our video review of the Rap Mat. Another fun toy in the range is the foam flying squizzles. 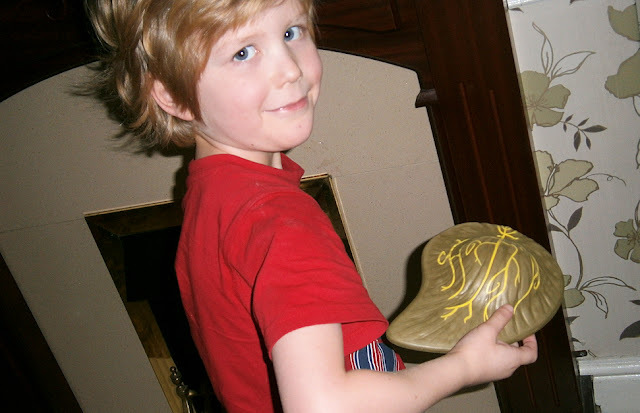 These simple yet very fun toys are a must for all Tree Fu Tom fans a good size and perfect for throw and catch games, these have been hugely popular here, they are lightweight foam replicas of the Squizzles that Tom and his Friends play with in the shows. Along with the other role play dress up accessories in the range there is no end of Magic to be had! here is our video where Mikey talks us through the range of toys, and if you have a little Tree Fu Fan of your own i am sure they would love any thing from the Tree Fu Tom range of merchandise. Charlie's next birthday presents sorted out!!! Great post! plenty of great toys to choose from and for all Tree Fu Tom fans I am sure they will all be well loved.. my favourite has to be the little Twigs character! Hello I need to get all the party stuff for 4th years old including the balloons do you have it? I love to play yoga with my kids. I bought best yoga mat bag for them. They are so good in quality and also really comfortable to use and clean. They love them too!